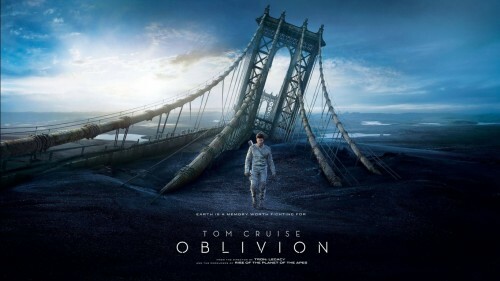 I came into Tom Cruise’s latest sci fi film cautiously optimistic. I had heard that it was good. More than that, I had heard that it was good from someone whose opinions about movies I actually valued. I was also on an airplane. This presented the opportunity to watch the film at no real cost, meaning that I didn’t have to pay and also that there weren’t many better things I could have been doing at the time. If the film turned out to be complete rubbish, at the very least it would have kept me occupied for two hours of a thirteen hour flight. Design freaks will love the film. The visual style of the universe in which it is set is beautiful and minimalistic. Functional, and futuristic, yet elegant. The film is set in the not too distant future, Aliens have invaded, there was a war, and even though the humans won, the cost was the planet’s biosphere. Earth, no longer inhabitable had to be evacuated, its population moved to Titan (one of the moons of Saturn) and Cruise and his partner were part of a small maintenance crew left behind to clean up some loose ends. The storytelling is tight. It is engaging from the beginning, and the opening narration hints at what is to come, but doesn’t give it away… at all. Far too many films begin by foreshadowing the rest of the film so clumsily that viewers are left with little motivation to keep watching, apart from witnessing big explosions and listening to corny one-liners. Not this film. Without giving too much away, I will say that I was genuinely surprised by the way the story went (and I’ve read and watched enough SciFi to be fairly difficult to surprise). What I also liked about the storytelling was that the plot didn’t just twist suddenly and jarringly (think of any M. Night. Shyamalan film), but one curious misdirection led to another, which then led to another, and this process of slowly revealing important points kept me engaged all the way to the end. Although Cruise occasionally gets involved in some fairly forgettable films, like the unwatchable Mission Impossible 3, this is not one of them. His last *real* scifi film – The Minority Report, was another unexpected hit, and while I wouldn’t rate Oblivion on quite the same level, it is nearly as good. I’m not sure if it will still be showing in cinemas anywhere by the time I get around to posting this review, but if it is, I would recommend it. Seeing it on a big screen with the big sound would certainly add value to the experience of watching it.